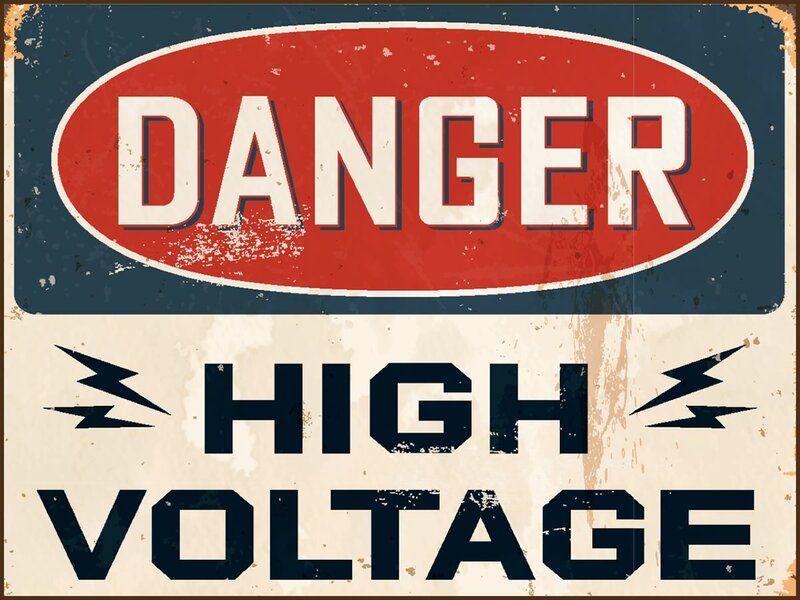 Marijuana grow rooms have high voltage and a lot of other potentially dangerous issues. Is Your Marijuana Grow Room Trying to Kill You? My marijuana grow room is my man cave, my favorite place in the house, a place of high oxygen, beautiful light, and kind marijuana scents. But it’s also a dangerous place. In fact, there are times my marijuana grow room seems like it wants to kill me. One team of assassins comes in the form of your high intensity discharge (HID) lights. I run several 1000-watt bulbs. Especially in grow phase when the bulbs are metal halide, the white-blue light makes my eyes hurt and affected my ability to see properly. When I talked to my eye doctor, he said HID bulbs could create rapid eye damage leading to cataracts and even retina problems. This is especially worrisome because I use Hortilux Blue bulbs that have significant output below 420 nanometers in the ultraviolet range. Now I wear ultraviolet filtering sunglasses in my cannabis grow room. HID bulbs can damage your skin, not just your eyes. Ultraviolet radiation affects skin and may lead to skin cancer. Lit HID bulbs can burn your skin very badly. That’s one reason I’ve never liked bare bulb HID lighting. 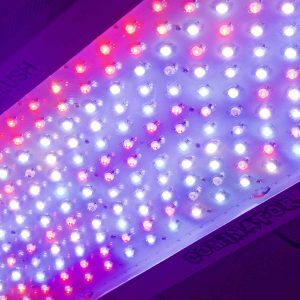 If bulbs explode, as they often do if you’re using inferior bulbs and/or inferior hydroponics ballasts, or if you’re foliar spraying and get mist on them. In that case, the HID bulb materials (including their very toxic innards) become shrapnel. You can also get cut up by the sharp edges of hydroponics reflectors. Indoor marijuana grow rooms have the potential to kill you quickly because there’s a lethal combination: electricity and water. It doesn’t even need to be a combination… electricity can kill you without water. But when you mix the two, you can end up electrocuted. It shocks me the number of marijuana grow ops I’ve visited where multi-outlet extension cords, water, ballasts, flip units, and other electronics and water are within inches of each other. All it takes is a water leak creating a sheet of water on the marijuana grow room floor, and then that water comes in contact with live electricity, and you can be dead. Electricity is also a problem in cannabis grow rooms because you might be overloading your wiring, circuits, or otherwise creating shorts or other problems that lead to fires. Even running just ONE 1000-watt HID ballast and bulb, a fan, and a chiller on one regular-load wall outlet can overload that circuit and create fire risk. Yet another issue comes from pH. I use pH Perfect hydroponics nutrients for my marijuana plants so I don’t monitor and adjust pH much, but pH adjusting fluids can burn your skin. Not only that, but if you’re running extra C02, you can’t be in your marijuana grow room until the C02 is back down to ambient levels. If you’re using C02 properly, which means using it when your lights are on, that means during lights off is the only safe time to be in your grow room. Another marijuana grow room hazard is getting your hands caught in fan blades. And then there are the generic, clumsy injury potentials, such as having a light stand or light mover collapse on you, tripping over cords or wires, and other problems that would be funny if they weren’t so potentially harmful. Your cannabis grow room is a beautiful space that offers you lots of pleasure and fun. But a marijuana grow room is also a place to be careful so you don’t burn your eyes out, cut yourself up, incur broken bones, suffocate, or get electrocuted.